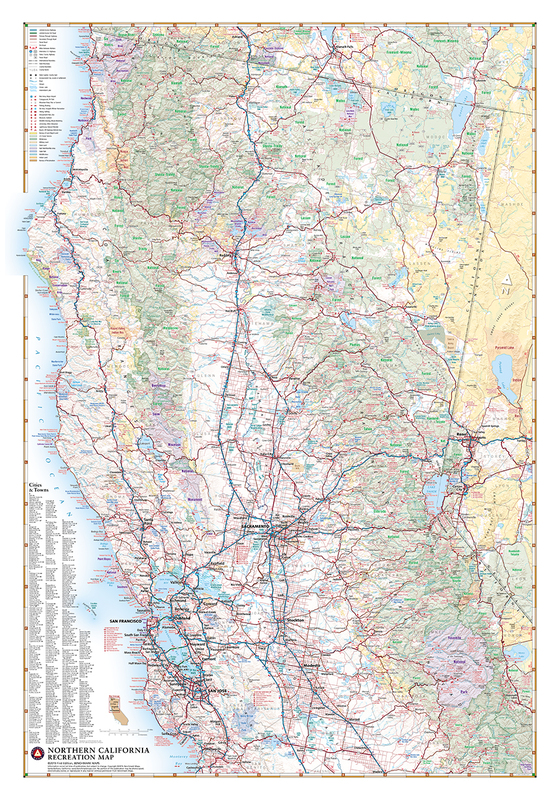 This wall map is made from our folded Northern California Recreation Map. It highlights California's extensive highway system and public lands. 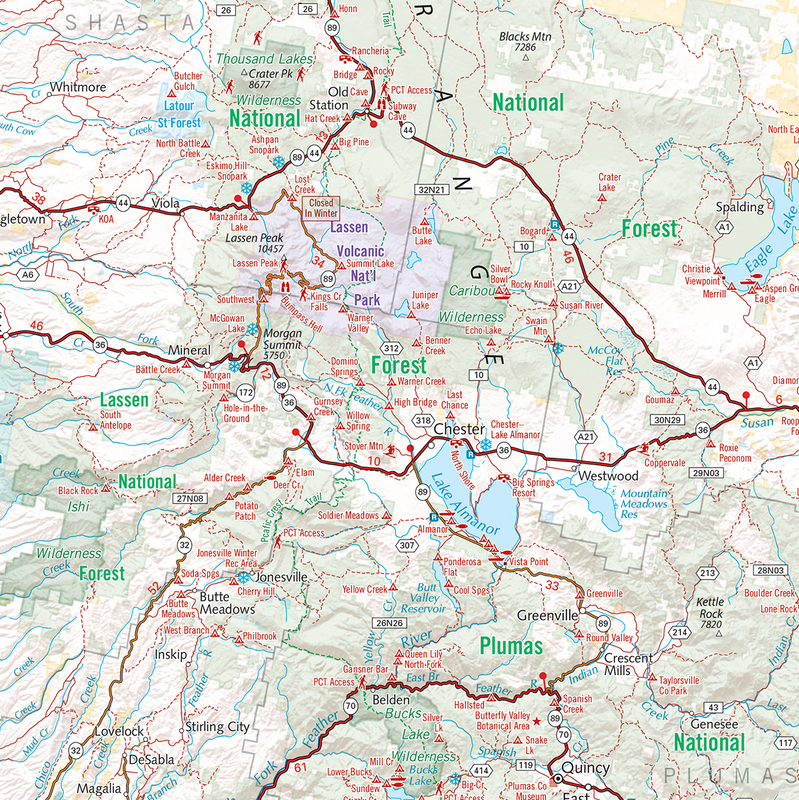 Each map is individually printed on high quality paper, hand-trimmed, and shipped from our cartography offices in Medford, Oregon. 28" x 40"